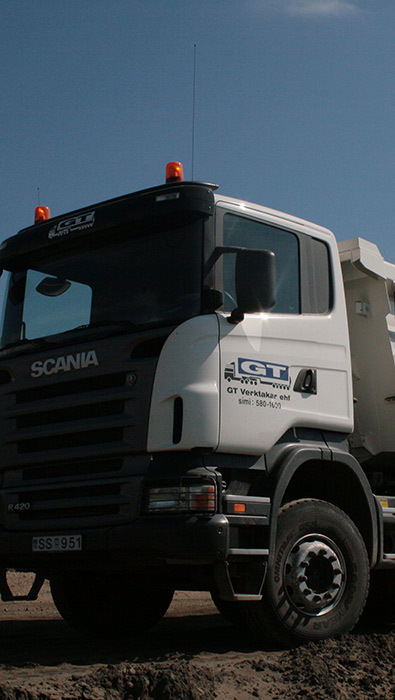 GT Contractors Ltd. was founded in 2001. The company has specialized in any kind of excavation, transport, sorting of rubbish and winter service. With a large fleet of construction equipment, GT not only has the multiple types of equipment to meet nearly every project need, it also has the workforce to meet the most ambitious schedules. Our experience with working in all types of soil conditions has led us to perform several of the largest excavation projects ever undertaken in Iceland. GT was a subcontractor for Impregilo during the building of the the Kárahnjúkar power plant. GT handled various projects for Impregilo, excavation-, gravel transport, mechanical transport,busses and ambulances. Gt had over 50 people working at Kárahnjúkar. GT has undertaken various projects both as contractors and subcontractors. Good working relations has been between GT and the largest construction contractors of the country, ÍSTAK, ÍAV etc. GT also has good experience of container transport and employees who have decades of experience.